Perhaps the wealthiest Fed chair ever, Powell -- who turns 65 on Sunday -- succeeds Janet Yellen, who ends the first and only term held by a woman. 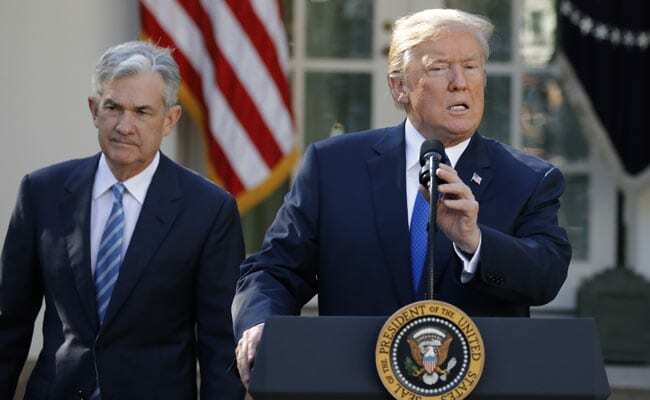 Washington: Jerome "Jay" Powell, the Republican former investment banker tapped by President Donald Trump to lead the US Federal Reserve, will take the reins of monetary policy starting Monday. He takes over at a remarkably quiet time following a decade of economic turmoil that forced the central bank into uncharted policy waters to try to recover from the global financial crisis. Nevertheless, Powell, one of the rare non-economists to fill the role, could soon face difficult policy decisions that will put him at the center of debate over how fast to raise interest rates. Wages in January posted the biggest annual increase in nearly 10 years, with the growing US economy adding jobs at a solid pace, and while business and consumer confidence remains high just as a massive corporate tax reform is starting to take effect. This comes at a time when all major global economies are growing simultaneously, an unusual and happy coincidence, but one that begins to raise concerns about when the recovery will end. And how. "His biggest challenge will be leading the further calibration of interest rates when the US economy is late cycle amid a synchronized global economic upswing and fiscal stimulus is on its way," Kathy Bostjancic of Oxford Economics told AFP. As Yellen departs, the only Fed chair in nearly 40 years not to be reappointed for a second term, she leaves an economy with unemployment at a 17-year low of 4.1 percent -- half the rate when she became chair -- quiet inflation and nearly four years of uninterrupted growth. In addition, she steered the Fed out of its massive bond buying program and began the process of "normalization," or reducing the size of investment holdings, without upsetting the skittish financial markets. Yellen prevailed in the debate to raise interest rates only gradually to ensure the economic recovery was on solid footing. The Fed has raised the key lending rate five times in her tenure, including three times last year. "Yellen hands the incoming Chair Jerome Powell a more 'normalized' economic and monetary policy environment," Bostjancic said. The Fed in December raised the benchmark lending rate for the third time last year, and indicated that another three hikes were likely this year. But the minutes of the meeting show there was heated debate among the policymakers about how quickly they would need to move this year based on differing outlooks for inflation and the impact of the tax cuts. Inflation has remained stubbornly below the Fed's two percent target, but the policy statement last week said the central bank expects prices to move up in the near term. The first rate increase of 2018 is widely expected to come in March, which also will feature the first press conference by Powell, who has served on the Fed board since 2012. "Massive fiscal policy piled on top of an economy that was growing solidly and has limited labor availability has not been tried before," economist Joel Naroff said. "How this 'Grand Fiscal Experiment' affects wage and price inflation is something Fed has to be worried about." In practical terms, raising rates more quickly has challenges. The Fed can decide to move at any time, whether it has a policy meeting scheduled or not, but officials like to telegraph their intentions to markets clearly to avoid any upset, and explain the decision once it has been made. So since 2011, the committee has only announced rate changes at one of the quarterly meetings that include press conferences by the Fed chair. That means a faster pace of rate hikes would mean four rather than three this year. More increases than that could really spook markets into thinking the Fed is seeing real cause for concern about the threat of inflation or the durability of the recovery.